St Petersburg is filled with a wealth of beautiful buildings and churches, many of them along one of Russia's most famous streets, Nevsky Prospekt. 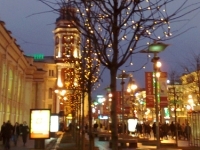 Nevsky Prospekt is a wide and sweeping boulevard running through the centre of the city all along the Neva River. The Admiralty, the Alexandr Nevsky monastery where many famous Russians are buried, the wide Griboeva Canal, Kazan Cathedral, and the Church of Our Saviour on the Spilled Blood are all located along Nevsky Prospekt. While based on the more famous St Basil's Cathedral in Moscow, many consider the Church of Our Saviour on the Spilled Blood to be the more interesting example of Russian folk-inspired architecture. St Petersburg's most famous attraction is probably the Winter Palace and the Hermitage Museum, located on Palace Square. This massive green, white and gold Russian Baroque palace houses one of the world's greatest museum collections, ranging from ancient Russian historical artefacts to modern European art, with the sumptuously decorated rooms an exhibition in themselves. The museum is far too big to explore in one visit, so it's a good idea to choose a section when visiting. 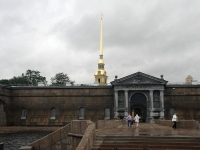 The Peter and Paul Fortress houses old jails and dungeons open to tourists, as well as several historical museums, the country's Mint, and the Cathedral of St Paul and St Peter where every Russian emperor since Peter the Great is buried. 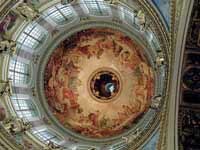 St Isaac's is another famous church worth visiting, both for its impressive Russian Classic architecture and the climb to the top of the church's dome for panoramic views of the city. 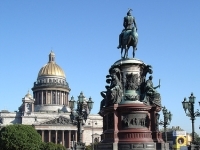 Travellers planning a lot of sightseeing in St Petersburg should consider purchasing the Petersburg Card which allows free entry to certain attractions and lots of other discounts and specials.